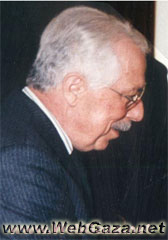 Ibrahim Dakkak - Who is Ibrahim Dakkak? Engineer, writer and political commentator, co-founder of various Palestinian institutions: Council for Higher Education, National Guidance Committee. Member of board of Trustees, Bir Zeit University; published various studies on the question of development and housing.